The brides were married on February 15th, 2015 at Watchers Cove in a setting that was as breathtakingly beautiful as it was quaint. They were dressed in gorgeous wedding gowns by Phenix and Son!a, while their happy bridesmades wore Tori's Stylez gowns in a lovely pink-based lilac. 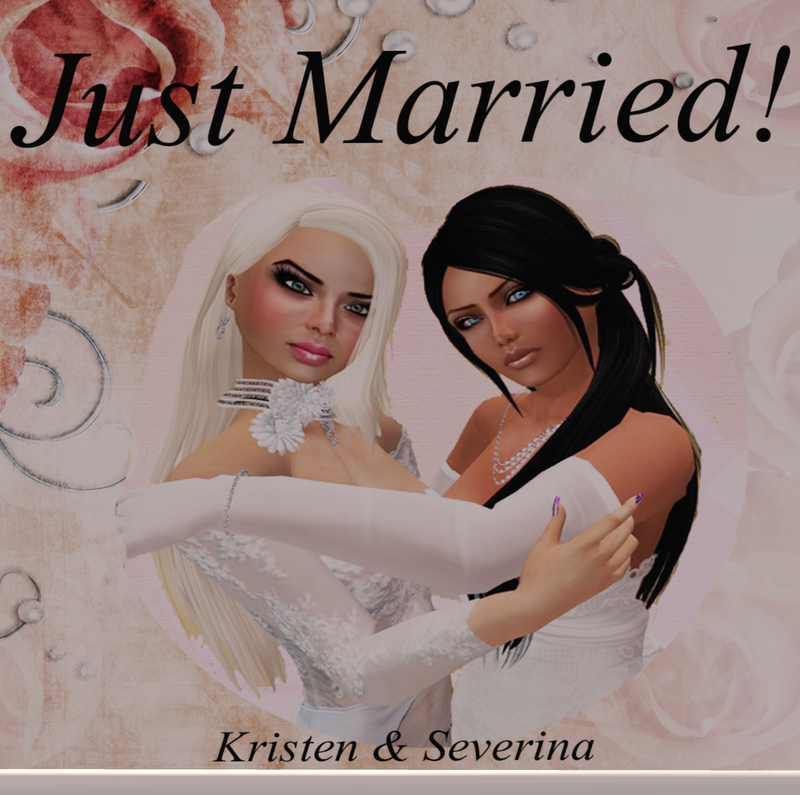 After vows that made the crowd swoon and weep, Mrs. & Mrs. Cuervo were congratulated by a core of friendships they've come to love over the years in SL. Close friend and business partner, Ms. Tazzy Jenkins, presided over the wedding. After the honeymoon, the Cuervos will lead busy lives as SL models, entertainers and socialites!